Explicit Mark Devlin on FreakSense TV; Everything You Know is a Lie, And Would You Like To Hear Some Truth? I’m very happy to present my recent 2-hour interview with Charlie Freak for his Freaksense TV Youtube channel. Charlie and his partner Colleen have done a stunning job of adding visuals to the narrative here, really helping to bring the whole story to life. Important and empowering information for humanity throughout. 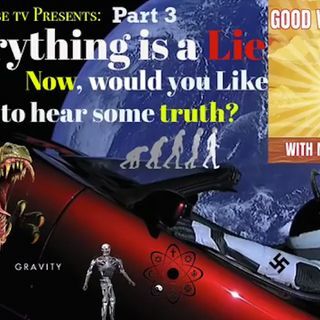 “The title to this video is NOT click-bait...the sad truth of our shared reality is that EVERYTHING that organized society has ever ... See More taught us is a LIE, and as often as possible, a 180-degree, upside down Lie! This 7-Part video series with guests Mike Williams, Crrow777, Mark Devlin, David Weiss (DITRH), Benny Wills (The Joy Camp), Kevin Kostelnik (also, The Joy Camp) & Marty Leeds, does not mince words or talk around key points; this series is designed to expose all of societal lies, and then offer up the way in which we ALL can take control over our own lives and create real change towards true Freedom and Independence.